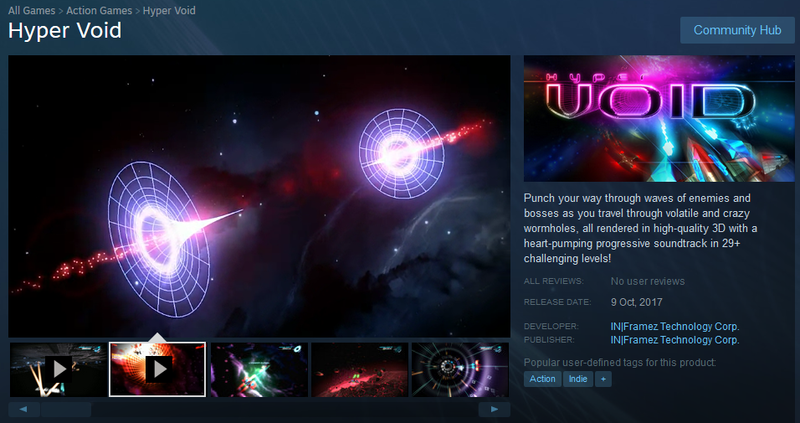 HYPER VOID is now publicly available on Steam for Windows PCs. This release does not only bring the full console goodness to the PC, but also adds an entirely new CHALLENGE mode, comprised of three endless hard-core levels to show the best of skills on the online leaderboards. 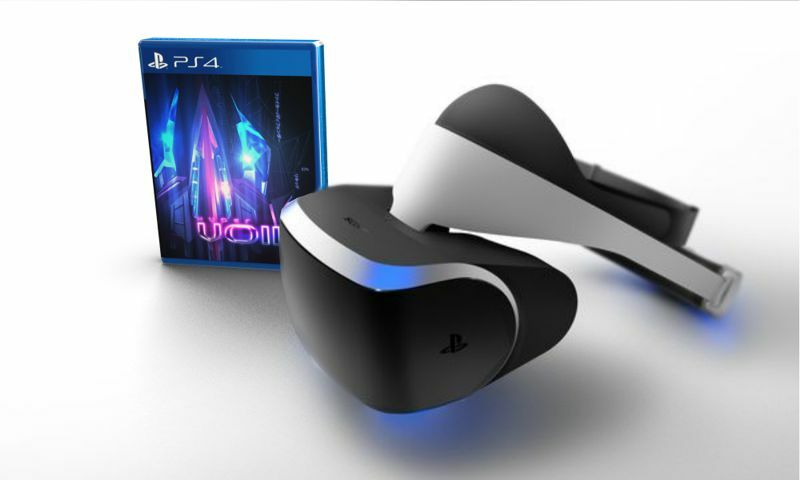 All owners of the Playstation 4 release will get an update on the launch date of PlayStation VR to enjoy Sony's new VR headset from day one. Hyper Void will be one rare case among other PlayStation VR games that will deliver native 120fps VR experience on the PS4. For additional details about the news visit the announcement news on the PlayStation Blog. HYPER VOID is a 3rd person space-shooter Single Player arcade game that is different from all previous space shooters in that the action does not take place in regular outer space, but inside intergalactic wormholes! 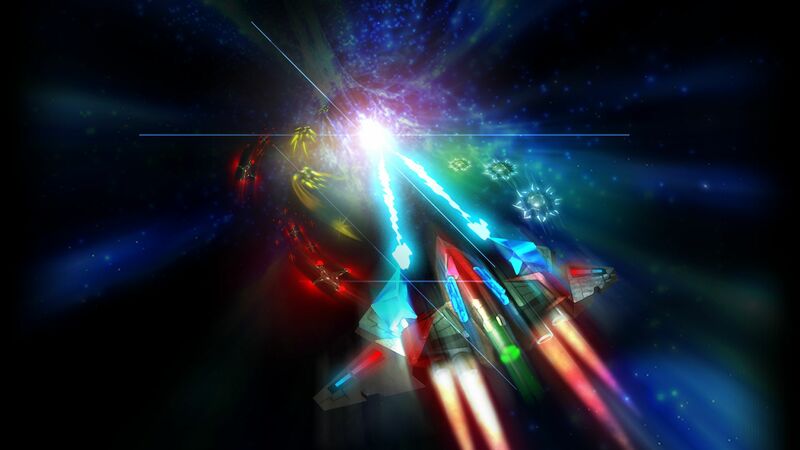 HYPER VOID jumps the player through stellar wormholes packed with high-action experience. The game delivers continuous challenges in eye-catching space environments. It is based on an easy-to-follow story with physical reasoning for the many space fantasy events the player will go through. HYPER VOID takes place at a certain time and location, thus it has history and story for those who look for it. Every detail in HYPER VOID has a background reasoning behind its design and behavior and naming. HYPER VOID is not about shooting blindly or striving to upgrade to the one best weapon. It is about fast decision making and controlling multiple weapons strategically based on the given situation. Enemies are challenging and unique; as each requires its own strategy to defeat. Unlockable trophies and secret levels. Thrilling story waiting to be unraveled. Universes based on true scientific facts. New tech for infinite dynamic lighting effects. True lit volumetric space dust phenomena. Hyper Void simply looks incredible. It’s a very slickly-produced game for such a small development team, and definitely a quality arcade shooter. 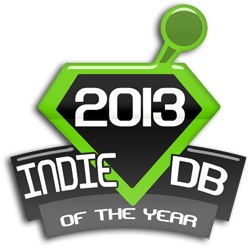 Hyper Void becoming one of the top 100 games on IndieDB! The top 100 games list on IndieDB has appeared, and YES! Hyper Void is there. In fact, we are the only upcoming Arcade game in the list. Wessam Bahnassi wrote a few thoughts about this here. Thank you all for voting to bring us to the top 100. We will still need another favor of you soon... so stay tuned.